Wood Burning Stoves Bradford. Do you live in the Bradford and are you looking for a wood burning stove ? 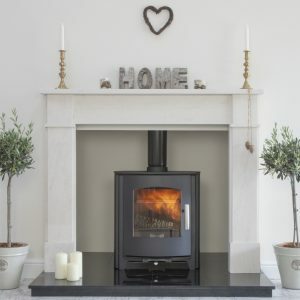 At the Leeds Stove Centre, our aim is to make sure you get the perfect wood burning stove for your home at the best price possible. We have a wide choice of wood burning stoves to choose from and a large choice of designs and styles. It’s easy to see why the Leeds Stove Centre is one of the leading suppliers of wood burning stoves to the Bradford area. Located in Stanningley, centrally placed between Leeds and Bradford, we have a large showroom where you are able to view working live displays of our multi-fuel and wood burning stoves. There’s nothing quite like sitting in front of the heart-warming rosy glow from a wood burning stove on a cold winter’s night. 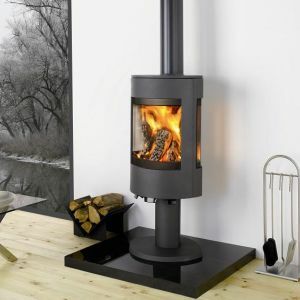 However, for many stove owners there’s another kind of rosy glow and that’s the one that comes from the satisfaction of knowing that there are significant advantages attached to heating your home with a wood burner compared to a multi-fuel stove; Saving money; Environmentally friendly; Energy Independent. Most premium quality wood burning stoves are made from the finest cast iron and heavy gauge steel. Traditionally, wood burning stoves were made from cast iron but as technology progressed, the use of heavy gauge steel was introduced and quickly became popular. Although, cast iron will take a little while to get up to temperature, it is excellent at retaining heat and then diffusing it over a period of time. Most homeowners prefer the appearance of a cast iron wood burning stove due to its decorative detailing for example; the Stovax Huntingdon wood burning stoves incorporate stunning Gothic tracery doors creating an elegant piece of furniture in its own right. On the other hand, wood burning steel stoves provide a smoother and cleaner look and emit heat quickly into the room. We only supply stoves from leading stove manufactures such as Stovax, Yeoman, Dunsley, Burley and Dik Guerts. With a large choice of designs, styles and brands, we believe that you will find the perfect wood burning stove for your home. We are also able to install your stove. Our expert HETAS stove installers can install your stove and flue system and they are directly employed by ourselves. To arrange a survey for a stove installation, please contact the Leeds Stove Centre on 0113 255 5622, or for more details on any of our products or services.